Southeast Australia is currently in a prolonged drought. The ongoing drought has placed immense pressure on the limited water resources and a perception that this may be the start of a persistent change from historical conditions. Several studies have suggested that part of the current drought could be associated with global warming, and many global climate model projections for southeast Australia are for a drier future on average. However, it is difficult, if not impossible, to separate a global warming signal from the high natural variability observed over the last two centuries and revealed in palaeo-climate records. Historically, water resources planning have considered past climate variability over different timescales together with impacts of other drivers of water availability. Currently, projections of future climate are highly uncertain and they are best treated as multiple plausible futures. 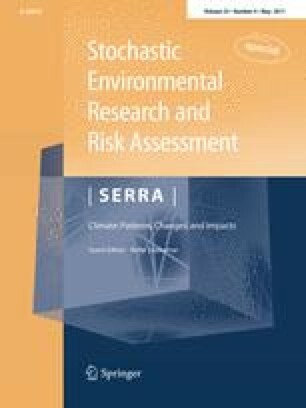 In the future, improved hydroclimate projections, with reliable probabilistic quantification of uncertainties, would help make more informed risk-based water sharing and management decisions. Given the current prolonged drought and predictions of a generally drier future in southeast Australia, it is prudent to plan for conditions that will be drier than those experienced in the long-term historical climate. For short-term and medium-term planning, the recent climate should be considered as one possible scenario because there is a need to manage the drought and there is every possibility that the drought will continue for some time yet (either under climate change or as part of long-term natural variability). Much of the material in this article comes from research in the CSIRO Water for a Healthy Country Research Flagship through the South Eastern Australian Climate Initiative and the Murray-Darling Basin Sustainable Yields Project. The authors acknowledge the contributions from the large project teams and the funding from various partners, especially the National Water Commission, Murray-Darling Basin Authority, Victorian Department of Sustainability and Environment, Department of Climate Change and Land and Water Australia. The authors would like to thank Lu Zhang and Nick Potter and the two SERRA journal reviewers for reviewing and providing constructive comments on the article.